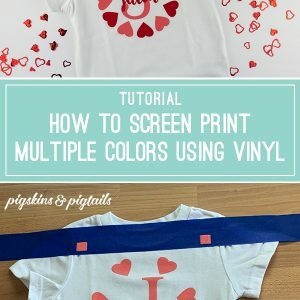 New to Screen Printing with Vinyl? Watch this step-by-step tutorial first! STEP 1: Setup your design in whichever program you use to cut your vinyl. Add 4 small squares to each corner, outside of your design. These are going to be our guides that will help us line up each layer. STEP 2: Cut each color on vinyl, making sure the squares stay in the exact same spot when you grab each of the layers. The type of vinyl you use is important – Oracal 651 is the way to go. It sticks nicely to the screen and allows you to make multiple shirts with one piece of vinyl. Also, don’t forget to flip the image when you cut! STEP 3: Place tape across your shirt, right above and below where your design will be. Make sure the tape is covering the space underneath all 4 of your squares. STEP 4: Screen print your first color. 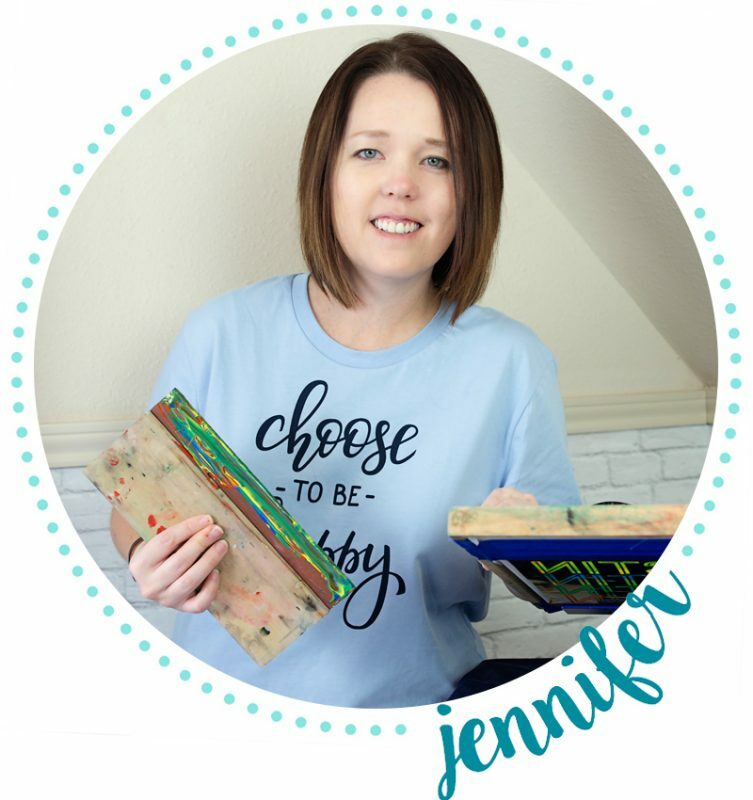 It should look like this photo – your design is painted on your shirt and the squares are painted on the tape. STEP 5: Let it dry! I left mine for about an hour with a fan blowing. You’ll also want to wash off your screen and let it dry. STEP 6: Transfer your 2nd color design to your screen. 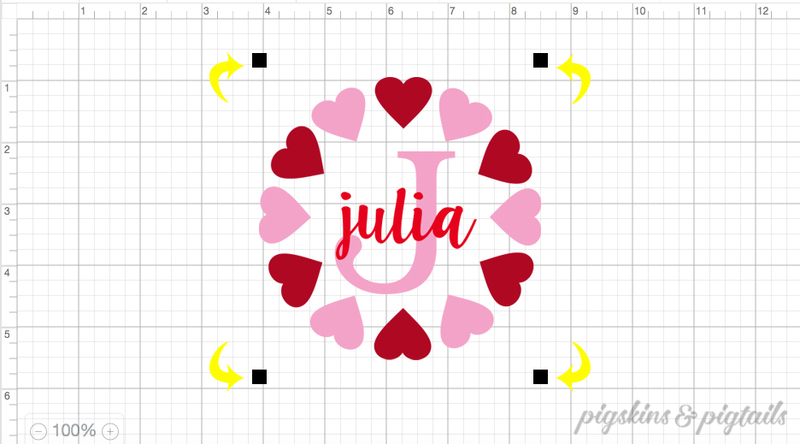 Using the squares you painted on the tape in Step 4, line up your 2nd color design. STEP 7: Screen print the 2nd color. Repeat steps 5 and 6 until you have printed all of the colors of your design! Make sure you allow your shirt to dry between colors….at least enough so it won’t smear when you put the screen on it. If you are doing multiple shirts, you’ll want lots of space! 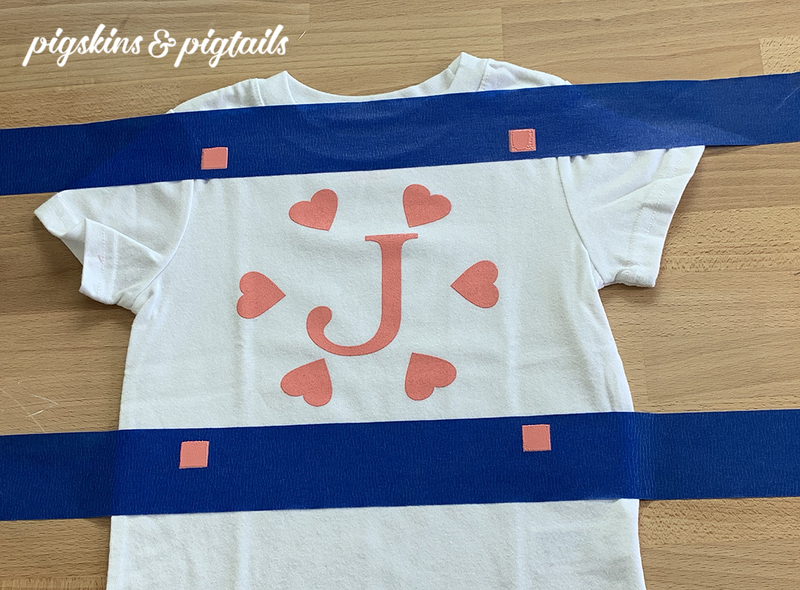 Spread out your shirts around the room and tape each of them down before you start screening the first color. If you are a beginner, watch my first screen printing tutorial before trying 2 colors. I’d love to hear your feedback and see the projects you are creating. If you are on Instagram, tag me or use #pigskinsandpigtails so I can see what you are working on. If you have any questions, feel free to ask in the comments below. Happy crafting! So cool. This is the answer to register marks ! Thank you for this awesome tip. Gonna try it tomorrow. Yay ! How do you clean your speedball screen? Just run it under water and use a gentle brush if needed!